KSP Civil Police Constable Admit Card 2019 is Out. Good news for the candidates who are looking for the KSP Civil Police Constable (Men & Women) Hall Ticket 2019. The officials of the Karnataka State Police had released the KSP Civil Police Constable Admit Card 2019 for the Civil Police Constable (Men & Women) written exam. Applicants who are going to write the written test on 27th January 2019, they should download the KSP Civil Police Constable Admit Card 2019 from this article with the help of below-given link. The applicants who have successfully completed the application process for Civil Police Constable positions and waiting for the admit card to participate in the written exam, here is great news for everyone. 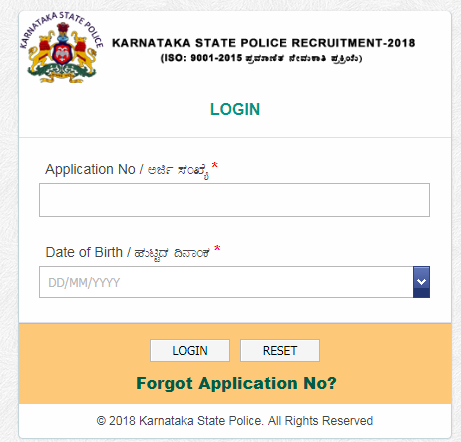 The Karnataka State Police Department released the KSP Civil Police Constable Admit Card 2019 through their website. Candidates who will need to participate in the exam on 27th January 2019, download the admit card from below provided link at the end of this article. For more updates just click on Sarkari Recruitment. In the KSP there is a notification of the posts are various so many aspirants are applied for the job recruitment for this hall ticket released so download KSP Call Letter 2019 it is very important to check your roll number and the password either it is online or in the written test so you have prepared both the process. For the police next round will be the physical test it is in the police jobs and here you have medical test also so for that also you have to prepare yourself be strong. In this hall ticket is mainly for any exam so it is compulsory to download the admit card any doubts please check the notifications. It is for the male and the female candidates so all are eligible for this job recruitment syllabus almost all the candidates should be applied for this job in this job you have the sub-inspector will be applied only the male aspirants and the detective sub-inspector it is for the male and the female there is the difference for the 2 posts download KSP Civil Constable Admit Card 2019. Any doubts check in the sarkarirecruitment.com. After completing the exam successfully, get back to this page since we will provide the answer key within no time that means within 24 hrs after the completion of the exam we provide the answer key. The examination board will not permit to write the exam without admit card or hall ticket or call letter. Through this Admit Card or hall ticket, the management will easily find the duplicate candidates in the examination hall. The KSP Civil Police Constable Admit Card 2019 or hall ticket has important information like Name of the Contender, Photograph of the candidate, Exam name, Exam Center Name, Exam Center Code, Exam Center Address, candidates Address, Mother or Father Name, important instructions for the examination. The aspirants need to carry any identity along with admit card for security reason at the examination center. After the examination time, the students will not allow entering into the examination center. Every candidate should attend in 20 minutes before the exam and check the details of examination instructions at the back of the admit card before starting the exam. The other information of KSP Civil Police Constable position written exam like the information on admit card, essential documents for the exam, and steps to download the admit card are given in this article. The admit card or hall ticket carries the below important information about the exam and aspirant. In every organization, without the hall ticket, the candidates will not for the exam. So everyone must have to carry the hall ticket. To avoid the confusion while downloading the admit card we have given the steps to download the process simply. Candidates can follow them to download the hall ticket from the official website. Go to left side options on the official website. Click on My Application link on the page. Go to KSP Civil Police Constable Admit Card 2019. Also, check the will be shown on screen. Fill the form with required details like Application no and Date of birth and submit. 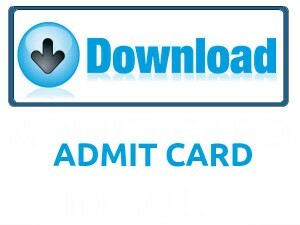 Download the Admit card PDF. Take a print out of the admit card to the venue of the exam. Through the above article, we have provided clear information about the KSP Civil Police Constable Admit Card 2019 for Karnataka State Police Recruitment for Civil Police Constable (Men & Women) posts. For further clarification leave a comment through below comment box. For more updates keep following our website Sarkarirecruitment.com. Thank you.